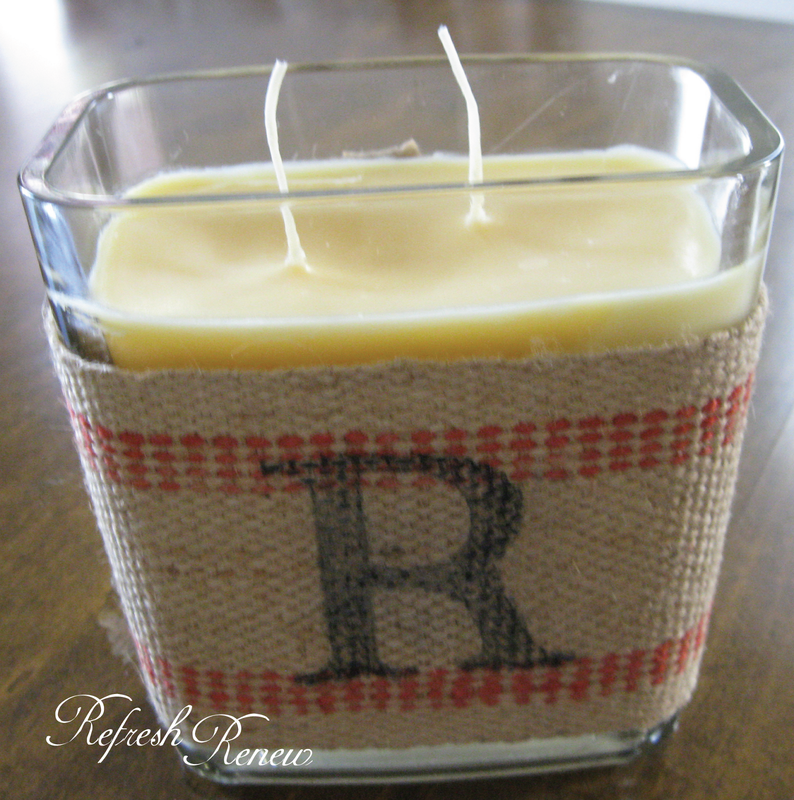 Who doesn't like a nice decorative scented candle? This project was a fun one I did with my girls so they could have a "homemade" gift for their teachers. 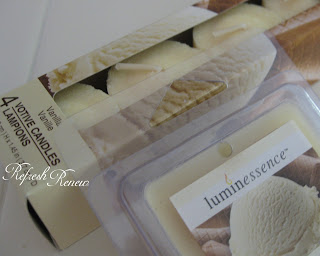 scented wax melts-Dollar Store has these in their candle area. and a candle wick (our candle already had a long wick we could use). I practiced first with a small candle to see how it would work. 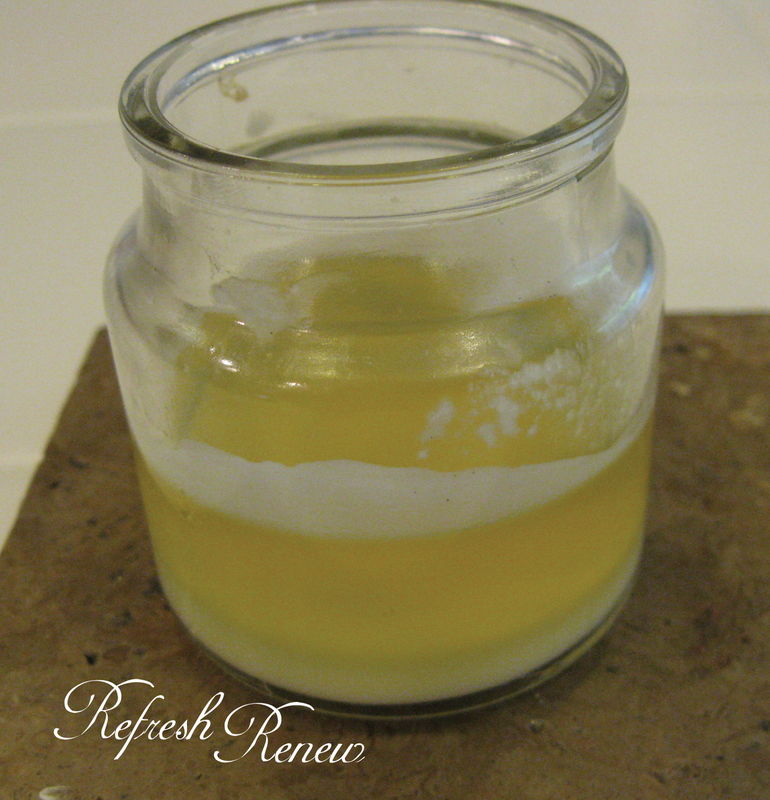 I was pleasantly surprised by how nicely the scented wax melts work to build a candle. The vanilla scent is nice. 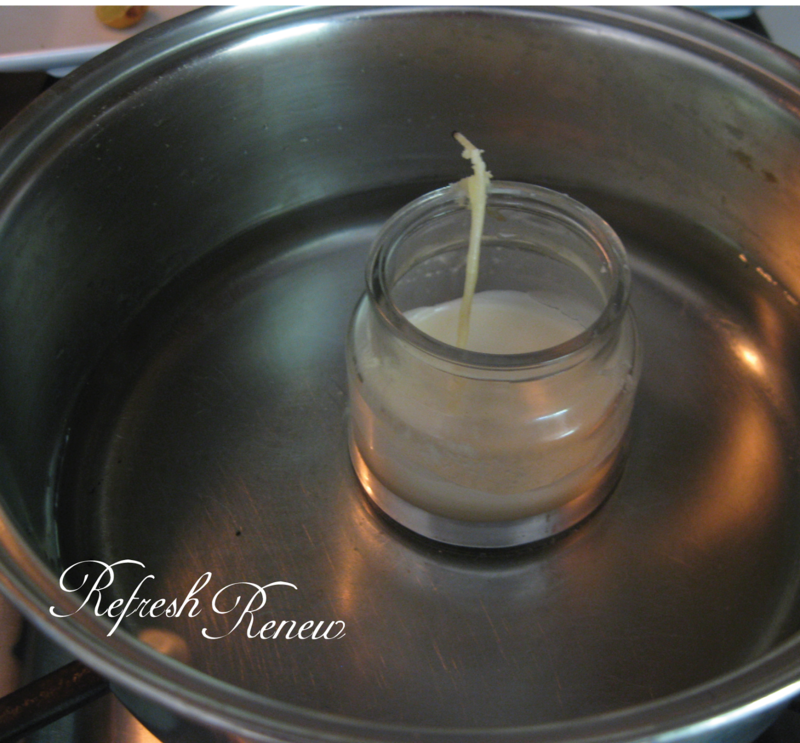 Place your glass container in a small amount of water in a small pot on the stove. **Keep your burner on the lowest setting so the pot heats up very slowly (to avoid the glass breaking). Do not leave unattended. Make sure the water in the pot does not evaporate completely. If your glass container is empty, add the wax melts--break them up so they melt faster. Once the old wax is melted you can remove it and clean out your container and start fresh. Or you can remove the old wick pieces and metal holders and add the Dollar Store wax melts to your container to melt with the existing candle wax. 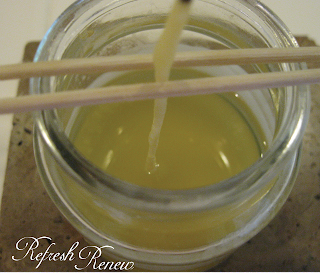 Lastly, once the new wax has melted, drop in your wick and turn off burner to let the wax harden again. 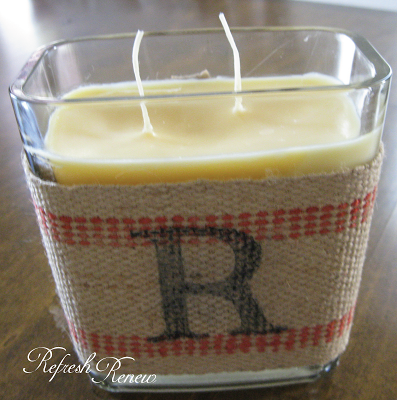 You will want to make sure your wick has something to keep it in place in the center of the container. I used two extra wooden reed diffusers. If you have some chopsticks, or pencils, those work great too. 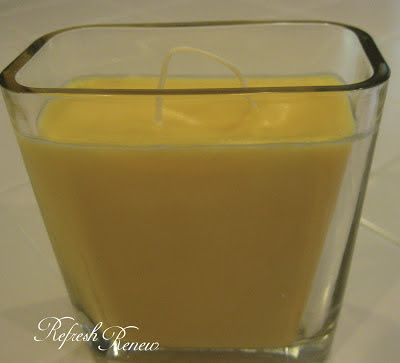 Here is our gift candle after repeating this same process. We have cleaned up the edges and it looks nice. and hot glued it to the glass. The back is secured cutely with a vintage button. I love the ribbon! I saw all this amazing burlap ribbon at Hobby Lobby the other day, and I've been racking my brain to figure out what I could do with it, but this is perfect! It looks so cute. I don't know if I'll attempt the candle yet, though. But thanks for sharing! 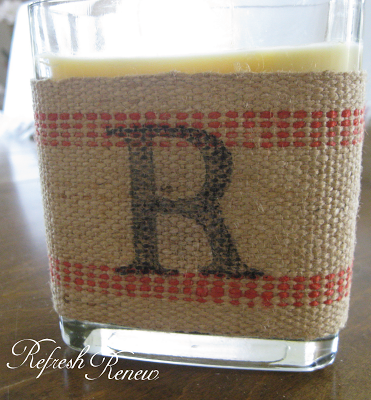 This is so cute and I love how you can personalize it! Thanks for linking with TTF this week. I went through the garage at my parents' old house last week and one of the things I found was some webbing. I might just have to try your idea. Thanks for the inspiration. HI! 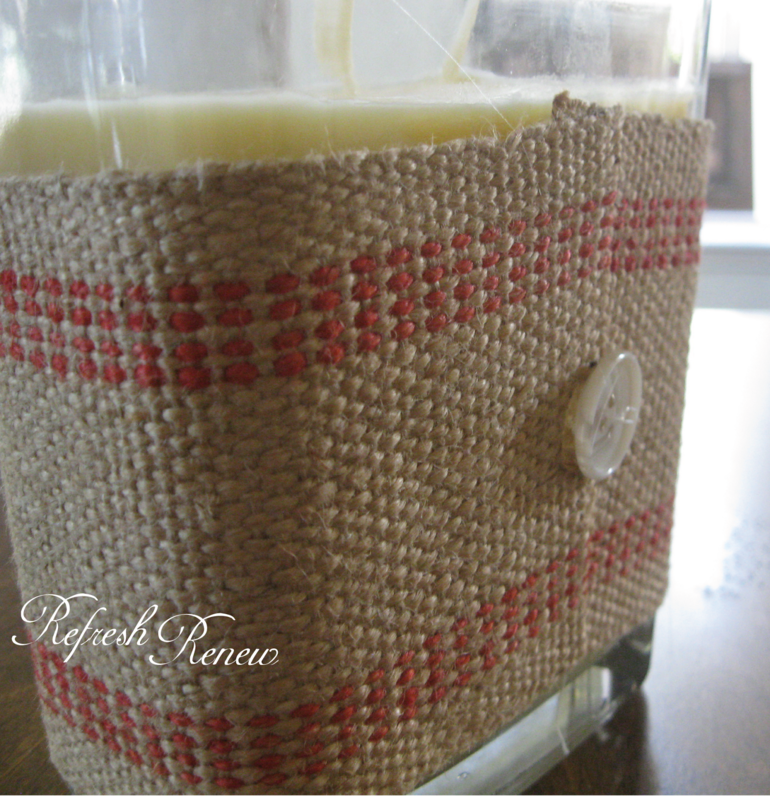 I just thought I would let you know that I am featuring this post tomorrow on "Features for TTF 115"! Thank you so much for sharing this adorable idea. I hope you stop by and copy the I was featured button for your blog! Have a wonderful day!